For once, Australians get something first. Pokemon GO has ended its "field test" period and has now begun its worldwide launch, starting with, of all places, Australia and New Zealand. 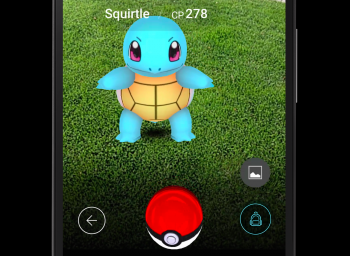 The AR game is free-to-play with microtransactions, thought you can shell out an extra $35 for Pokemon Go Plus - a clip-on attachment that allows you to play without looking at your phone by pressing a button on it to capture a nearby Pokemon when it vibrates. You can pre-order the wristband on Amazon. Australians and New Zealanders should navigate to either the Apple App store or the Google Play store to download the game. Publisher Nintendo and developer Niantic have not offered a timeline on when the game will launch in the rest of the world, including the United States, but we would expect it to happen over the next week.